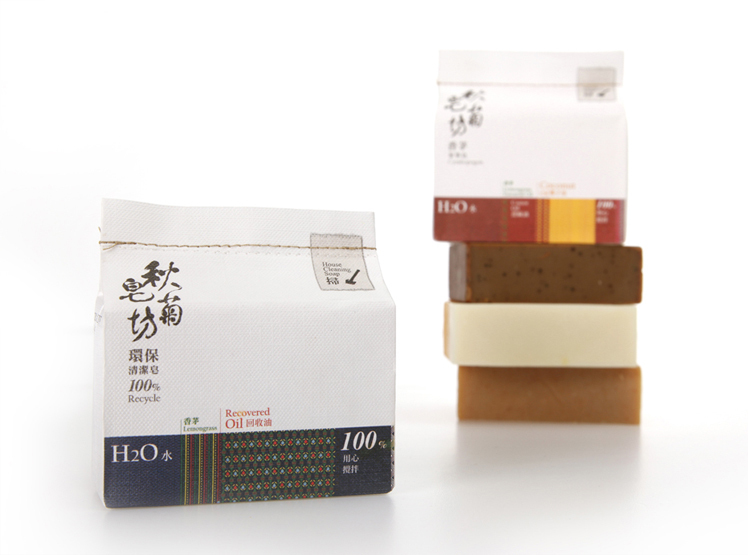 When Miss Chen Qiu-Ju was teaching in Chishang High School in Taitung city, she accidentally started her life of handmade soap due to the treatment of waste oil in the kitchen. 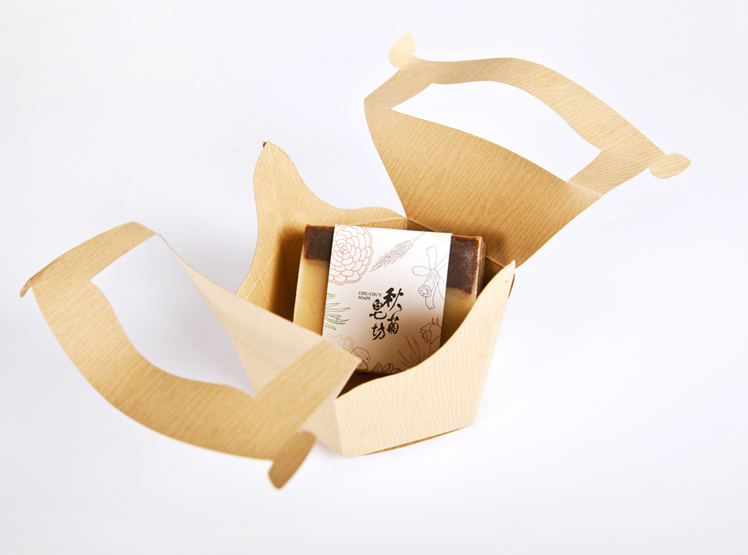 Qiu-Ju’s hair and skin handmade soap is mostly made up of Taitung’s local materials, while the eco-friendly home soap is made of recycled oil. 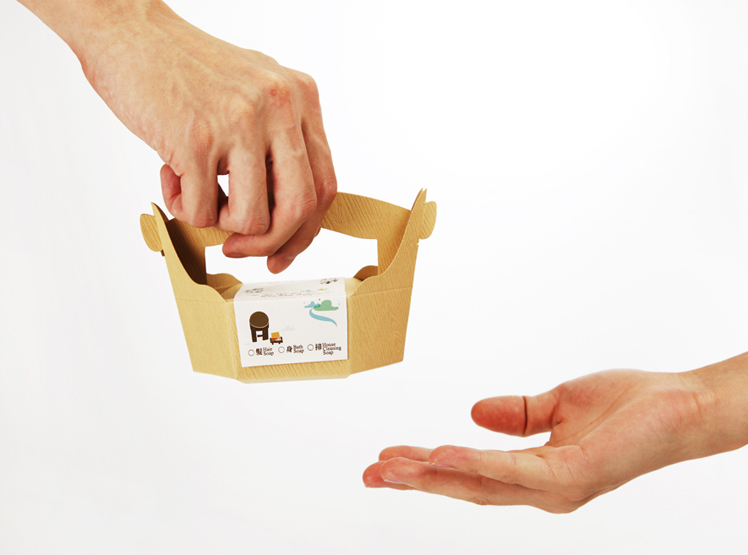 In 2012, she found problems such as the confusion in brand identification and the lack of packaging plan in many products. Thus, she entrusted Ideoso Design to carry out an overall change of the image. We define Soapohlala (calligraphy) as the main brand identification, matching with the use of the icon of “hair, body, sweep” product lines on the packaging and box. 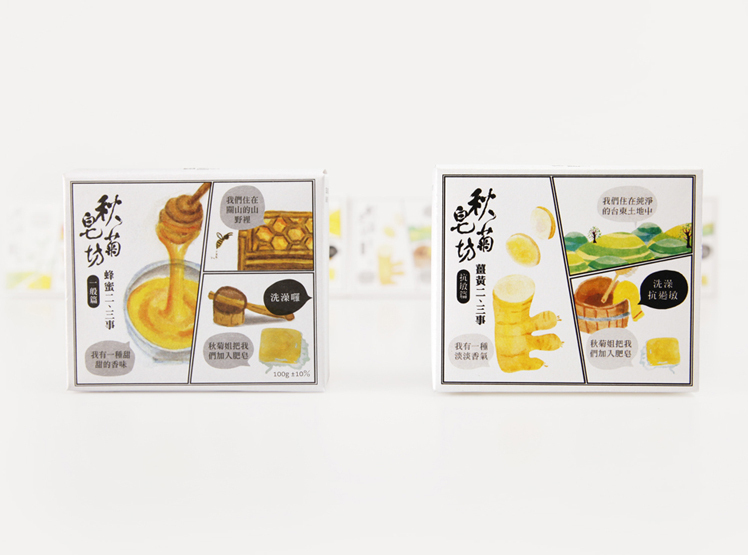 In the design of the packaging of the single soap for hair and skin wash, we present the story and functions of the local special raw materials by using three-cell comics. 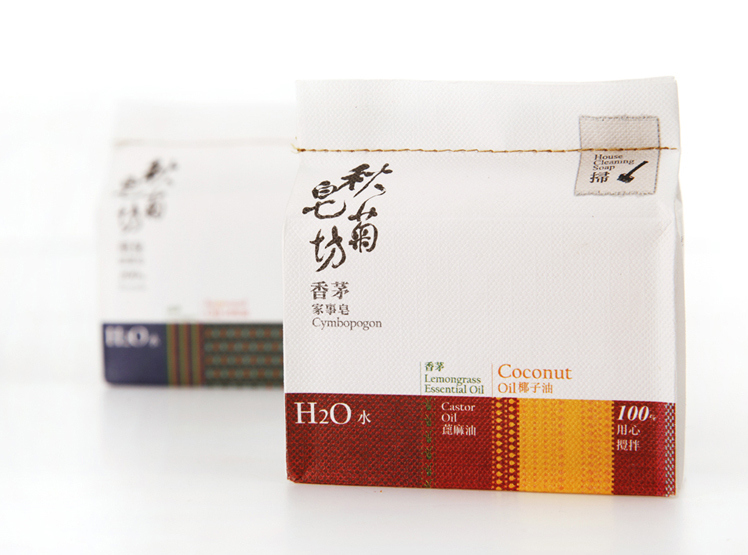 In the design of the packaging of home use soap, we brought the weaving patterns of the natives in Taitung city into the design, then present the feeling and look of the local culture by sealing it with seam. 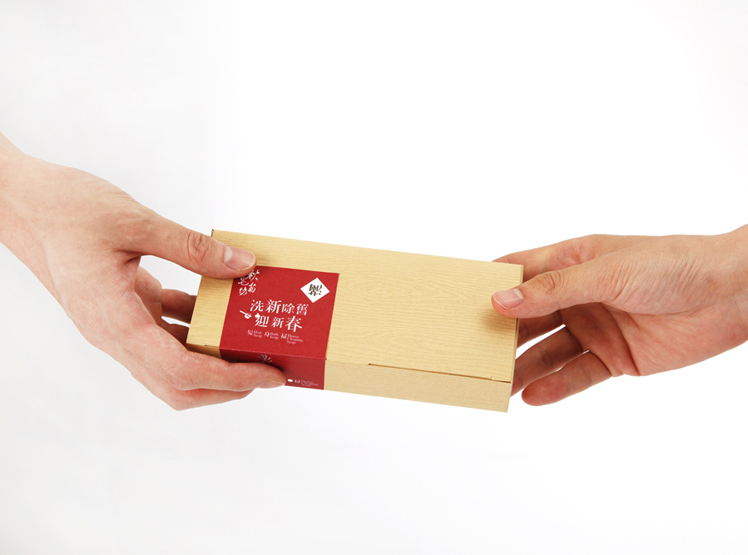 The packaging of the gift box is the form of wooden basket matching with grain paper wood. It presents the natural overall image of Soapohlala which is located in Chishang.